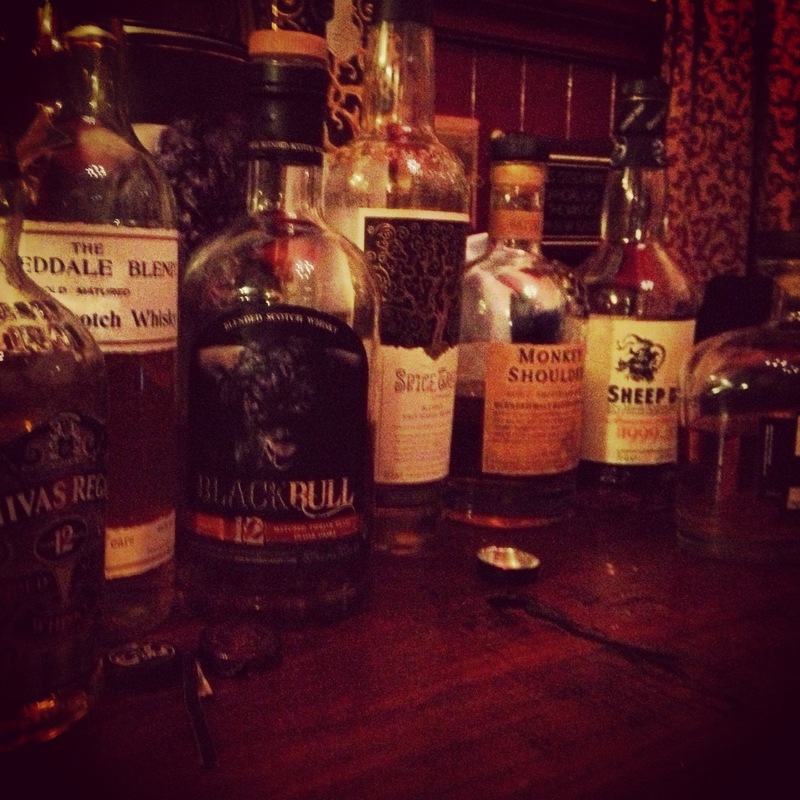 March is nearly at an end, and last night we could say the same for the third instalment of Manchester Whisky Club. Catering for those who want to meet up regularly for a chat with like-minded whisky fans, and a couple of drams to of course chat over. 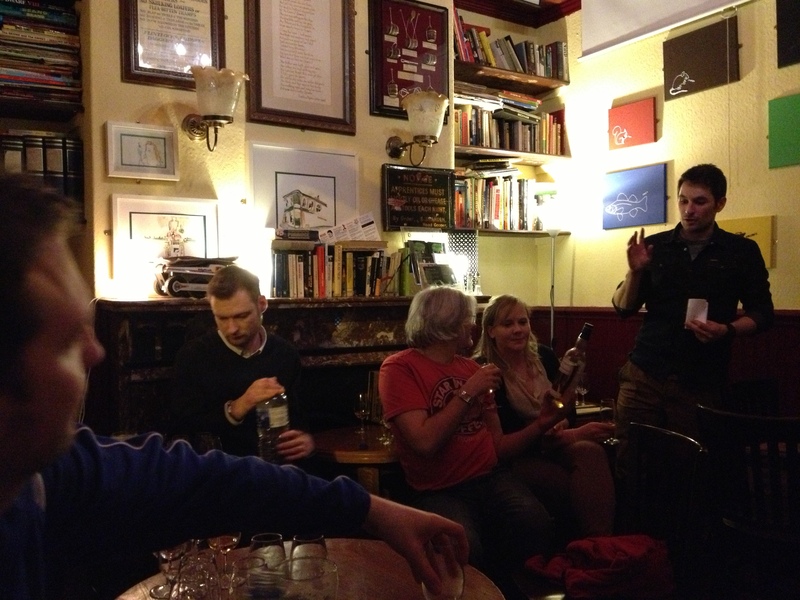 Held at the Lass O’Gowrie, the third meeting had a theme compared to last months Tomatin led evening. Club founder Andy brought along with him 5 blends to do battle in the aptly named ‘Battle of the Blends’. Light notes of vanilla and toffee on the nose, with the palate a heavier wood and herbal blend, although lightens off near the end. Hints of spice and salt linger. Sweet aromas of sherry and molasses, with hints of fruit following. The palate enjoys a kick at the start, with treacle and green fruit flavours creating a lingering after-taste. Slight dry spice also. Fruit aromas on the nose with a rich, spicy flavour igniting the palate that evolves into a lively well-rounded after-taste. Toffee and chocolate powder aromas on the nose with an underlying sweetness that develops. Rather smooth and soft on the palate with a slight kick near the end of marshmallow. Short. Our very own Manchester Whisky Club blend from Whisky Blender. Strong, sharp nose of green fruit that carries over onto the palate. A slight spice with an herbal flavour coming through. Lingering finish. A rather delightful collection showcased, with the Black Bull 12yr being a surprise favourite for me. Great to try the Monkey Shoulder, Compass Box and Chivas Regal again, as well as the workings of the Whisky Blender. Next month will be the ‘Old and Rare’ evening where according to Andy, we will ‘crack out the history books and look at some more mature and rare bottlings over the course of the evening’. fill their plates and then eat everything on them. Another reason for yeast intolerance is the use of antibiotics.